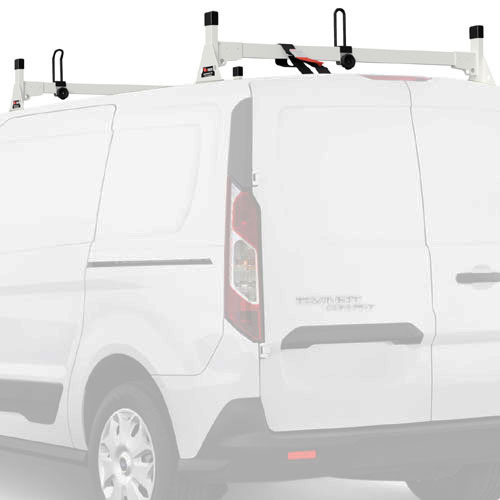 The Vantech H1712 2 bar aluminum van utility ladder rack is specifically designed for Ford Transit Connect Vans 2014-On. 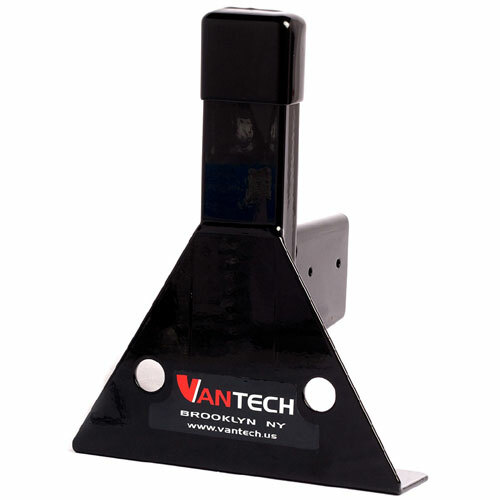 The Vantech H1 H1712 is bolted directly to the factory fixed mounting points on the roof of the Ford Transit Connect Van. Minimal drilling is required. Simply use a 5/16" drill bit to expand the existing 1/4" factory holes. 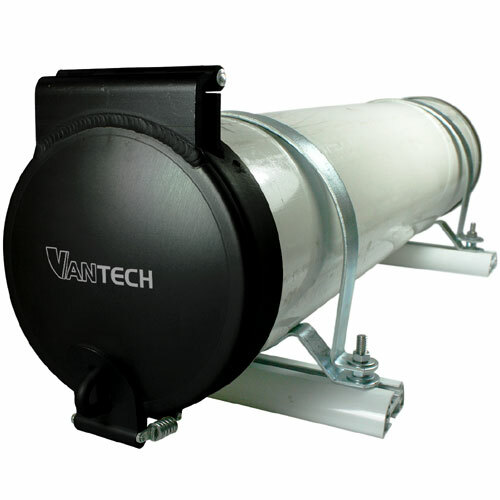 This Vantech Rack has two installation options: 1) Remove headliner to secure rack using included hardware with interior plates. 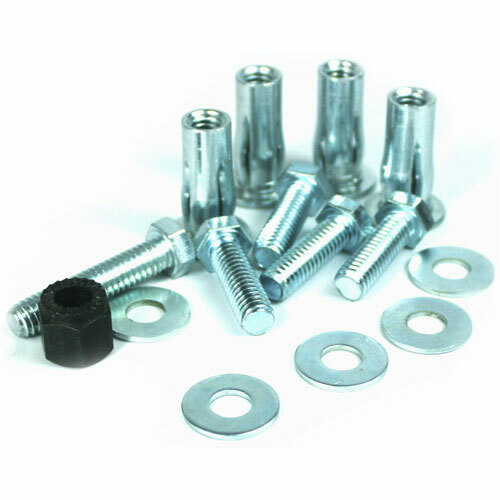 2) Use Plus Nut Rivet Kit (part# VTK058)to secure the rack without removing the headliner (sold separately - see below). The maximum load capacity is 300 lbs - evenly distributed. 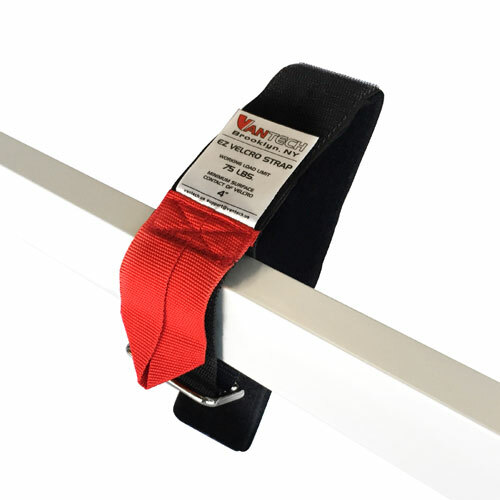 The H1 H1712 Ford Transit Connect Van Rack uses 2" x 1" reinforced extruded aluminum crossbars with internal structural support. 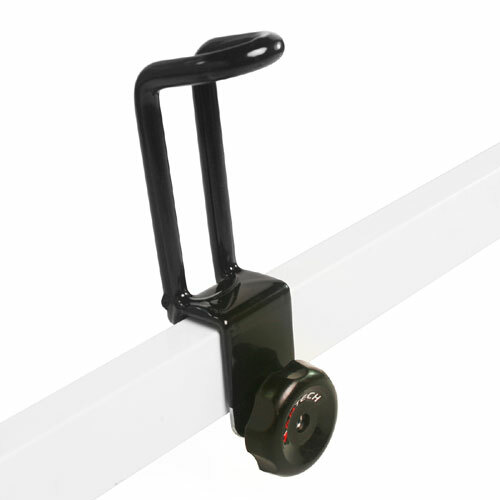 The H1 H1712 crossbars are protected with a non-slip rubber bar guard mounted on top of the bars. 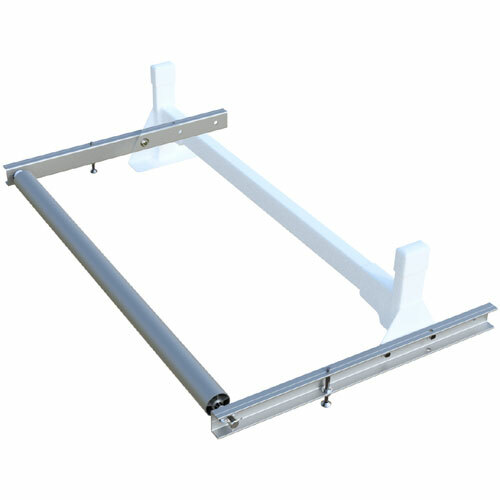 The aluminum mounting uprights are 1/8" thick at the base and 8" wide with an overall height of 10.25". 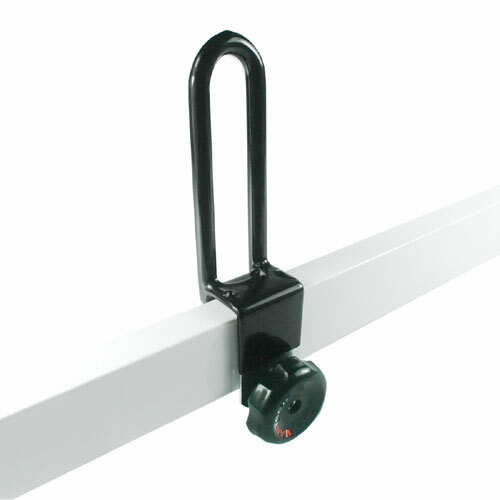 The bases are welded onto upright posts for added strength and durability. 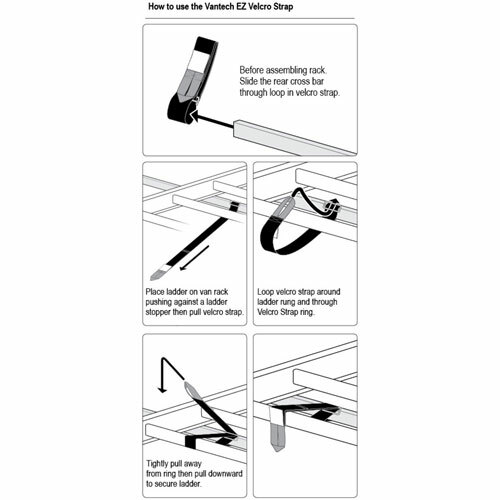 Each mounting upright has two 3/4" eye hooks used to mount additional accessories. The black rubber caps on the top of the upright posts prevent wind noise and water pooling. 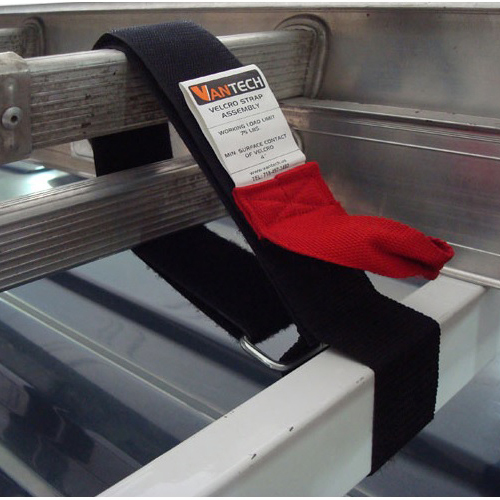 The Ford Transit Connect Van Ladder Rack includes one A06 5" galvanized rubber dipped ladder stopper, one A02 5.5" galvanized rubber dipped ladder guide, and one A69 EZ Velcro strap to secure up to a 75 lb ladder. 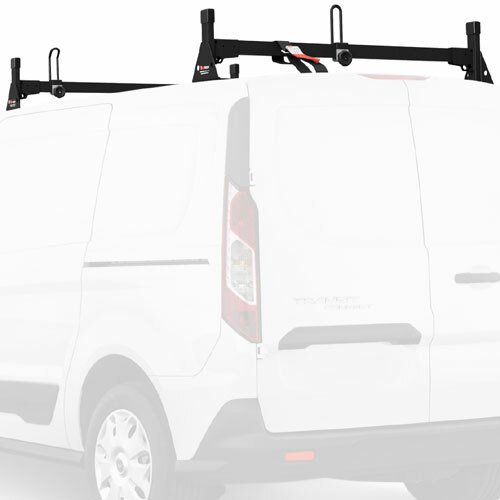 The Vantech H1712 Ford Transit Connect Van Racks are available in powder coated black, and powder coated white. The crossbar fixed mounting locations may vary from the illustration image. Please select your preferred color from the drop-down list.